It’s Christmastime 1995, just days before Diane received her ALS diagnosis. She’s already challenged because of unexplained muscle loss. When I transcribed this children’s sermon I was surprised to hear the words she whispered at the end, right after her children’s prayer. The microphone was still turned on. I could hear that she already needed some of that kindness and extra help she just talked about. A telling moment. You can see I’ve got my bag here that says I’ve been doing heavy-duty Christmas shopping! Actually some of it isn’t just for Christmas. You might call it birthday shopping. Is there somebody’s birthday on Christmas? Whose? Oh, yes, it’s Jesus’ birthday! I was just testing to see if you remembered. So I did some birthday shopping for Jesus. Let me show you what I got. Here’s one of the items–a box of Cheerios. Ever seen one of those? Do you want one of those under your Christmas tree? Let’s see something else. Here’s a jar of peanut butter. Peanut butter? Uh…. Let’s see. Sugary Sam Golden Yams! Mmm. A can of yams! I can tell you love ‘em. Now this one I do like! Instant oatmeal. This is the creamy variety. That’s the kind I like. So that was some birthday shopping for Jesus! Of course Jesus really doesn’t need to come and eat any of this. But he told us in the Bible that if we do a kind thing for someone who needs it–if we provide food for someone who doesn’t have enough food, or–I could have bought some clothes, because he said if we provide clothes for people who don’t have warm clothes, or don’t have the clothes they need–If we do it for someone else who needs it, it’s the same as doing it for him! How about that? If I want to buy gifts for Jesus, all I need to do is go get some gifts, and give them to somebody who needs them! Or even show some kindness to someone who needs a little kindness. There’s one other thing down here in the bag. One of these. You know what it is? That’s one of our Christmas offering envelopes that we use for giving a missionary offering. That’s another way to give a gift to Jesus. Why? Because the kindest thing we can do for another person is to make sure they know about Jesus, and his love for them. And that’s a birthday gift for Jesus, too! In a couple of weeks we’re going to collect more food for folks in our area who might need some. So I brought these things today, and I’ll make sure they get in with all the food others will bring. Maybe some of you will, too. Did you know we can give gifts to Jesus all year round in this way? You do? Good! I like having this really neat way to give Jesus gifts for his birthday! Some of you already brought Christmas gifts that went to a children’s Bible club yesterday. That’s another way of giving gifts to Jesus this Christmas. Of course I’m doing shopping for my family, too. They don’t have to worry! But here’s my point. Let’s be sure to include some shopping for Jesus. Not just for our families. We can give food or clothing or even kindness to someone who needs it. Let’s pray together. 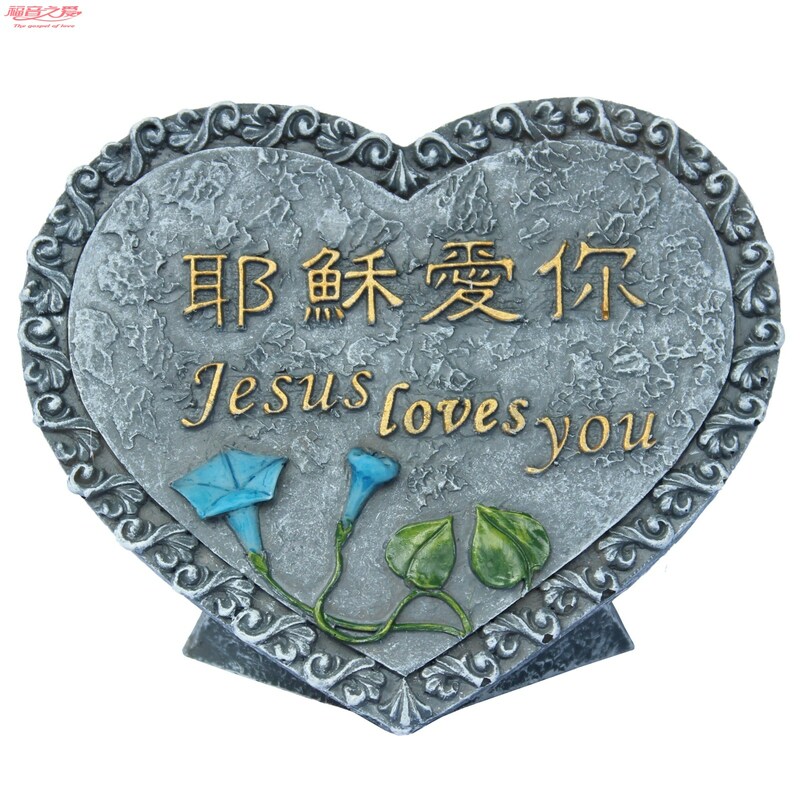 Thank you, Jesus, that you’ve told us a good way to give you gifts that show our love for you. We pray that at this special time of year and the rest of the year we’ll remember to do kind things and give food and clothes to other people because we love you, and want to please you. And we pray that because we do those things, more people will know that you love them, too. These things we pray in Jesus’ name, Amen. Forgive the Australianism but, “Oh Bloody hell” . So who was giving her a Christmas present. Hi, John. I think you’re referring to ALS? I don’t know what Diane would have said back then, since everyone was still hoping it was post-polio syndrome and anything but ALS. So here’s what I can say now–for myself. Bad things happen to individuals and their families every day. Did God “give” them this? I hesitate to say something like this is from God. It’s certainly not a Christmas present (if that’s what your comment suggests). Nonetheless, the way the church rallied around Diane and her family in the next 10 years was phenomenal. Diane, like me, grew up having to fend for herself. We have independent streaks, and would rather be on the giving end than the receiving end of ‘help.’ Yet for me, being in difficult, unanticipated situations like this have become a way of opening my heart and my life to accept help from others. It’s a strange dynamic because looking back, a lot of what seemed horrible and even cruel (whether from God’s hand or not) turned out to be an invitation to do serious personal work. The outcome for Diane and her family wasn’t a fairy tale ending. It was, however, a wake-up call that drew the family together, with every member doing his and her ‘homework,’ too. Exponential growth along with incredibly difficult situations and choices. So was it a gift? The German word ‘gift’ means poison. I don’t think it was poison or cruel–though ALS is a very cruel disease. It certainly shocks the system (personal and family systems) out of denial and into a strange new and terrifying world that demands decisions, sacrifices and almost steely resolve to accept what we cannot change, and to change the things we can. With wisdom, of course, to know the difference. If you meant something else, let me know. No. I wasn’t meaning anything of the sort. I do not believe that diseases are ‘given’ to us by God. I was actually wondering who she meant was going to help her through all that was coming. I assumed she meant God but she may have meant a husband or a sister. I will have to stop using Australian isms. I had a young boy in my class years ago and when the Principal told us he had been diagnosed with ASL (we call it Motor Neurone Disease ) the whole staff room just muttered ‘Oh Bloody Hell. Poor little bugger” . It’s about as caring an utterance as you will get. Oh my! Thanks for this response! I apologize for not saying a bit more about what was happening. In fact, I’m going to edit the post to correct that. Diane needed to stand up from sitting down on the platform stairs. By then, someone was already assigned to help her–if not her husband (though he was virtually always with her), then another friend or colleague on the staff. The part about the church and her family was more in line with your comment. The church was large and Diane was well-loved. Food was prepared and delivered all week long by various groups in the church. Even up to her death, food was delivered in order to ease some of the load on family members. Especially her husband, who was her primary caregiver. Plus medical personnel, several nurses, and other helpers. When she first got the diagnosis, though, it was scary wondering just what you say above–who’s going to be there for her, in addition to her husband (who had a fulltime job every day) and immediate family members. Sister #2 and I did what we could. Sister #2 was especially helpful going through Diane’s wardrobe and converting her clothes to ALS-compatible outfits! Diane was particular about how she dressed–right up to the end. Your memory about the young boy being diagnosed with ALS is sad and so true. When Diane got her diagnosis in early 1996, she was told she had no more than a certain number of years to live (can’t remember exactly–it wasn’t many). Today they’re finally understanding some of the variables that account for people who live for decades and others who don’t. Diane lived with ALS for 10 years. The most painful part–which you probably know already–is that the further disease progresses, the fewer people there are who’ve been there the whole time, able still to communicate not just words, but emotionally. My apologies for the earlier response. Next time I’ll ask before I leap! Thanks, John. You are a very good bloke. Hey! I didn’t take offence. I knew we were on the same page – just in a different book. The school I was at where that boy went we had five boys die from debilitating illnesses in five years. I’ll tell one little story. Pasquale was a small boy and had very advanced diabetes. It was a middle school and when they graduated from year ten they went to a senior school. One of the teachers (it was run by the Marists) asked .what we would do with Pasquale at the end of the year. He lived in a house just over the road from the school and would not be able to travel to another school. Also he was not likely to live for many more years and he was now nearly blind. A certain Brother Paul said, “We don’t have to graduate him at the end of the year. We just keep him and love him to death.” And thats what the school did. Pasquale happily stayed in year ten for three years and then died. It was a great funeral service. What a wonderful story! I think ‘loving him to death’ sounds like exactly the right prescription–the kind of prescription I’d love to receive in a similar situation. Thank, John.